12 Days of Giveaways! Last day to enter! 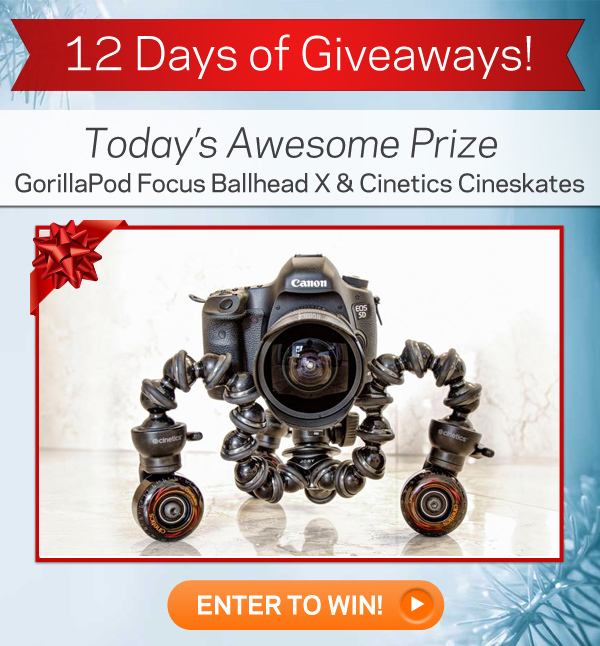 GorillaPod Focus with Ballhead X and Cinetics CineSkates for Focus! Put our professional-grade GorillaPod Focus on wheels and you’ve got an unstoppable combo for photos and video! Capture smooth panoramic shots or experiment with timelapse photography – there are no limits to your creativity with this pair! Today is the last day to enter so ENTER NOW!